We are hoping that the language of the STORIS Act legislation (S 1511) can be incorporated into the MARAD Bill. The STORIS Act, as standalone legislation, has been stalled by the legislative quagmire that is Washington, DC. Incorporating the STORIS Act language in the MARAD Bill can get this moving. I am certain that various factions within the Federal Government – particularly those aligned with and friendly to MARAD – are against this legislation moving forward. I am sure like most roaches, they are afraid of what the sunlight cast on their actions by the proposed (and much-needed Government Accountability Office audit of MARAD) will reveal. The DOT IG report on MARAD’s Management Controls released in December 2015 has already identified problems with MARAD's oversight of government vessel disposal, including specific reference to the STORIS sale by GSA. That IG review was much smaller in scale and scope. We need to go bigger. We need answers and accountability. The Maritime Heritage Grant Funding is important and I think we all support those efforts to provide funding for our Maritime Heritage resources across the country, but there are already dozens of museums across the U.S. throwing their direct support behind the grant aspects of the legislation. WE NEED TO SPEAK UP FOR STORIS AS NO ONE ELSE CAN SPEAK FOR HER LIKE WE CAN!!! 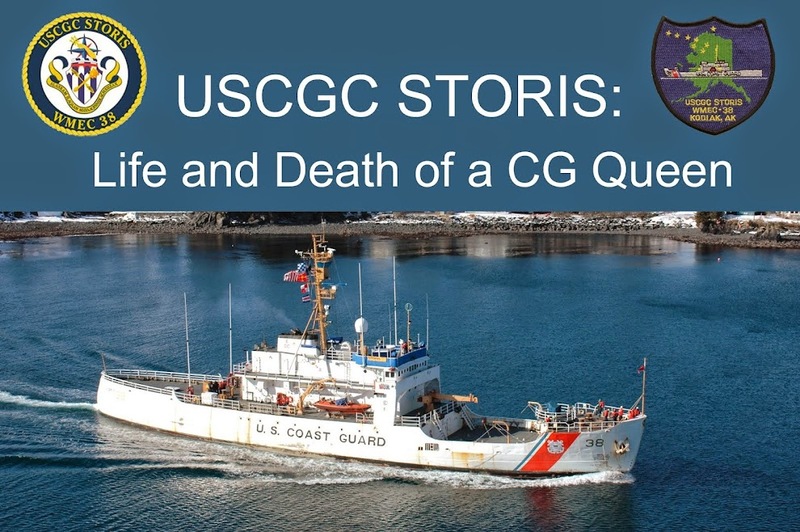 I am hoping that STORIS Vets and supporters can reach out to the various legislators on this committee and ask that they support the inclusion of the STORIS Act legislation in the MARAD Bill. Several STORIS Vets answered my call a few weeks ago to reach out to key legislators on this panel, particularly Maria Cantwell in Washington State and Dan Sullivan in Alaska. So far, I have not heard that any response was heard from these legislators’ offices. Sullivan in particular is disappointing since STORIS had such strong ties to Alaska. You would think that it would be a no-brainer. I am respectfully asking those STORIS Vets to reach out again, by phone if possible, to get this legislation included in the MARAD bill. I am also asking others to join us in this effort. We need everyone on board. Now keep in mind that we fully intended to save STORIS for historic preservation. She should not have been offered for dismantling, let alone scrapped in Mexico in violation of Federal Law. The Louisiana Senators see the export of STORIS to Mexico as a direct strike against the ship recycling facilities located in their state and the men and women who work at those yards. Though we did not want to see STORIS scrapped anywhere, their perspective is directed on behalf of the represented parties from Louisiana when they say that STORIS should have been scrapped domestically. Since they are willing to promote the STORIS Act and associated scrutiny of the government agencies and bureaucrats who are directly responsible for the destruction of STO, the efforts of Senators Vitter and Cassidy satisfy our goals, as well. These efforts also include the activity in the House with HR 2876, sponsored by Congressman Garret Graves of Louisiana, co-sponsored by Congressman Duncan Hunter (California), Congressman Filemon Vela (Texas), Congressman Charles Boustany (Louisiana), Congressman Robert Brady (Pennsylvania), Congressman Al Green (Texas) and Congressman Don Young (Alaska). The excessing and disposition process for STORIS was flawed on so many levels. At last count, there were something like five federal laws broken with her sale and export. Several agencies including the GSA, USCG, MARAD and EPA are complicit in this crime against history. We need answers. I need your help. For STORIS. If anyone has any questions or needs assistance in finding contact information, send me an email at cgcstorisqueen AT gmail.com.